Image Guided Radiation Therapy (IGRT) refers to the systematic use of imaging throughout the treatment course in external beam radiotherapy. 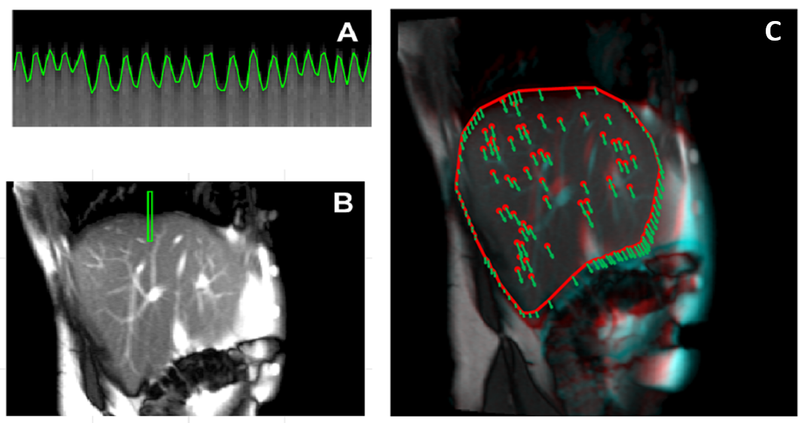 The application of image guidance is meant to reduce uncertainties in the localization of tumors and organs at risk at the time of irradiation, thus maximizing the potential of highly conformal treatments. 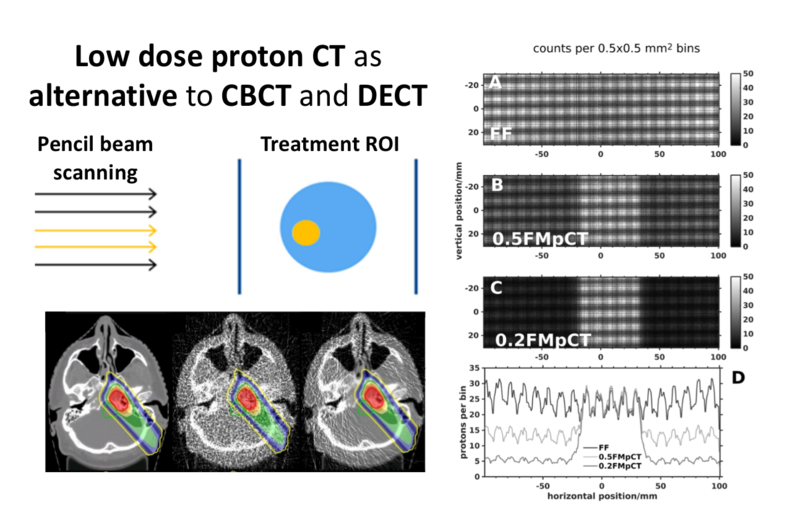 In case accelerated ion beams are used, the role of image guidance is even more important, due to their enhanced selectivity for dose deposition and the resulting higher sensitivity to uncertainties. 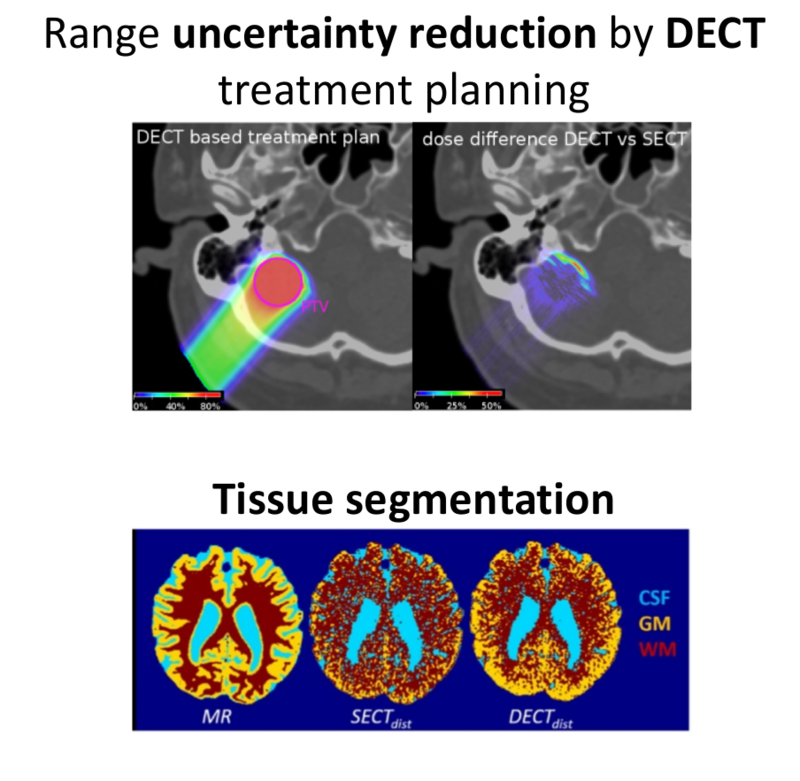 The availability of accurate imaging at the time of treatment empowers the implementation of adaptive treatment protocols, where treatment plans are evaluated and re-optimized as a function of the measured anatomical changes or, in case of ions, improved knowledge of the tissue stopping properties. 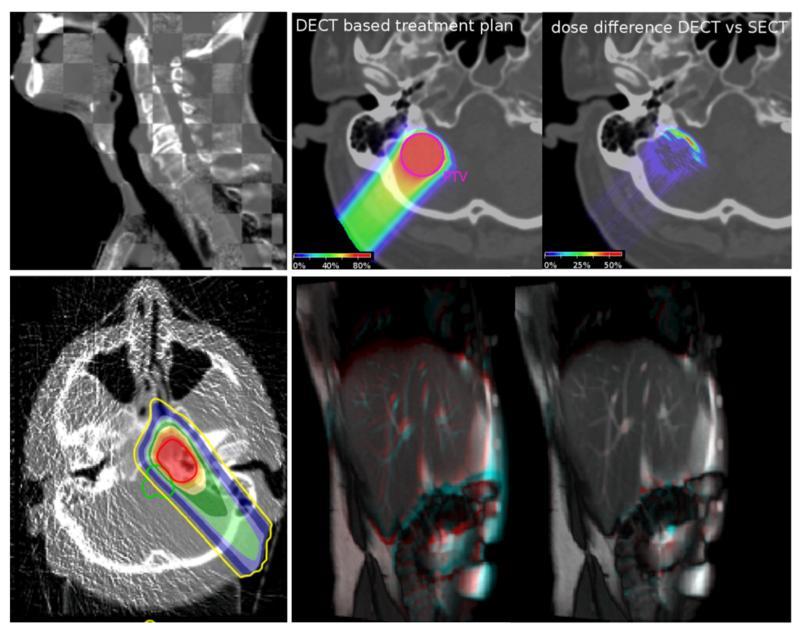 We are currently pursuing several research projects in the field of IGRT, including cone-beam computed tomography (CBCT), dual-energy CT (DECT), proton and ion CT and Magnetic Resonance Imaging (MRI).